Since I first heard about Judy Batalion’s memoir, WHITE WALLS: A MEMOIR ABOUT MOTHERHOOD, DAUGHTERHOOD, AND THE MESS IN BETWEEN, I have been eager for its release. Finally, this past Tuesday, the book pubbed and I have a copy in my hands. I can tell you, it was worth the wait. The writing is crisp and funny, and while you’re reading it, you’ll wish Judy could be your best friend. Well, at least that’s what I’m thinking! Judy grew up in a house filled with endless piles of junk and layers of crumbs and dust; suffocated by tuna fish cans, old papers and magazines, swivel chairs, tea bags, clocks, cameras, printers, VHS tapes, ballpoint pens…obsessively gathered and stored by her hoarder mother. The first chance she had, she escaped the clutter to create a new identity—one made of order, regimen, and clean white walls. Until, one day, she found herself enmeshed in life’s biggest chaos: motherhood. Confronted with the daunting task of raising a daughter after her own dysfunctional childhood, Judy reflected on not only her own upbringing but the lives of her mother and grandmother, Jewish Polish immigrants who had escaped the Holocaust. What she discovered astonished her. The women in her family, despite their differences, were even more closely connected than she ever knew—from her grandmother Zelda to her daughter of the same name. And, despite the hardships of her own mother-daughter relationship, it was that bond that was slowly healing her old wounds. Told with heartbreaking honesty and humor, this is Judy’s poignant account of her trials negotiating the messiness of motherhood and the indelible marks that mothers and daughters make on each other’s lives. We are excited to have Judy here on the Ball today! Ooh, I dream of being a vodka tonic, cool, clear with just a touch of bubbly frisson. Easily slurpable, consistent. A drink that’s timeless, assertive, decisive, simple, focused, a gulp jetting right down the esophagus, YES! A doctor. My dad was a doctor and I wanted to emulate his organized aloofness, rather than Mom’s chaotic moodiness. Also, I suffered from ulcerative colitis and saw many doctors myself—and a lot of them were insane. When I was 15, I was hospitalized and one day the on-call pediatrician checked in on his rounds, weepy, telling me about his patient who just died on the operating table. Um, hello, I’m your patient too…. The next year, once my colon had been removed and I was healthy, I applied to a hospital training program for high school juniors, ready to comfort anxious sufferers, desperate to inspire them with my own survival story. My first placement was in the colonoscopy unit. The patients were unconscious. The staff wasn’t far off. For three hours a week I was stuck in a freezing dark room watching a stranger’s interior abscesses on a dot-matrix TV screen. Then, as a treat, they let me attend a live birth. I was 16 and stationed behind the stirrups. Let’s just say, that was a good method of birth control. Being a doctor meant dealing with bodies. Not for me. I wanted to tell stories about disease and malaise and healing and identity, but hold the blood please. Along those lines… Needles. Contact lenses. I have fainted in optician’s offices and many a phlebotomists’ lap. I don’t like my boundaries broken. Once I accompanied my roommate on a night out she was hosting for her colleagues at her new job. We all went to see The Exorcist in a massive cinema way out in the boondocks of London. Two minutes in, I was unconscious. We hadn’t even reached the terror part, I just couldn’t handle the image of her in the brain x-ray machine. I don’t do rays! I was, apparently, removed from the theater by ambulance. After that, for several years, I had a terrible fear of movies. Also, mice. Insidious, spineless, toilet-paper munching maniacs. This changed once I had kids—or, I should say, insomniac kids. I used to be at my most energized and hilarious peak at 10 p.m. Now, I’m in bed by 9 and my favorite time is 5 a.m. I like periods when it’s quiet outside and few people are up, where it feels like I’m stealing extra time. I hate late afternoons and early evenings. Nothing productive happens then except for headaches and carb binging. The worst. 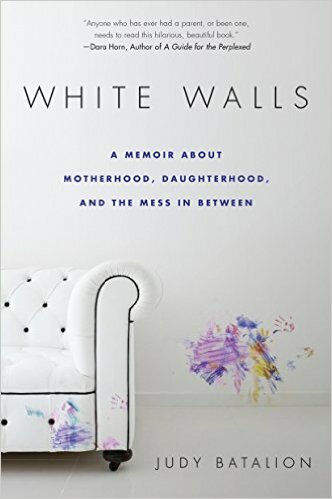 GIVEAWAY: Comment on this post by noon (EST) on Friday, January 15th, to win a copy of WHITE WALLS: A MEMOIR ABOUT MOTHERHOOD, DAUGHTERHOOD, AND THE MESS IN BETWEEN (U.S. only). Follow The Debutante Ball on Facebook and Twitter for extra entries—just mention that you did so in your comments. We’ll choose and contact the winner on Friday. Good luck! Born in Montreal, Judy studied at Harvard before moving to London, where she worked as a curator by day and a comedian by night. 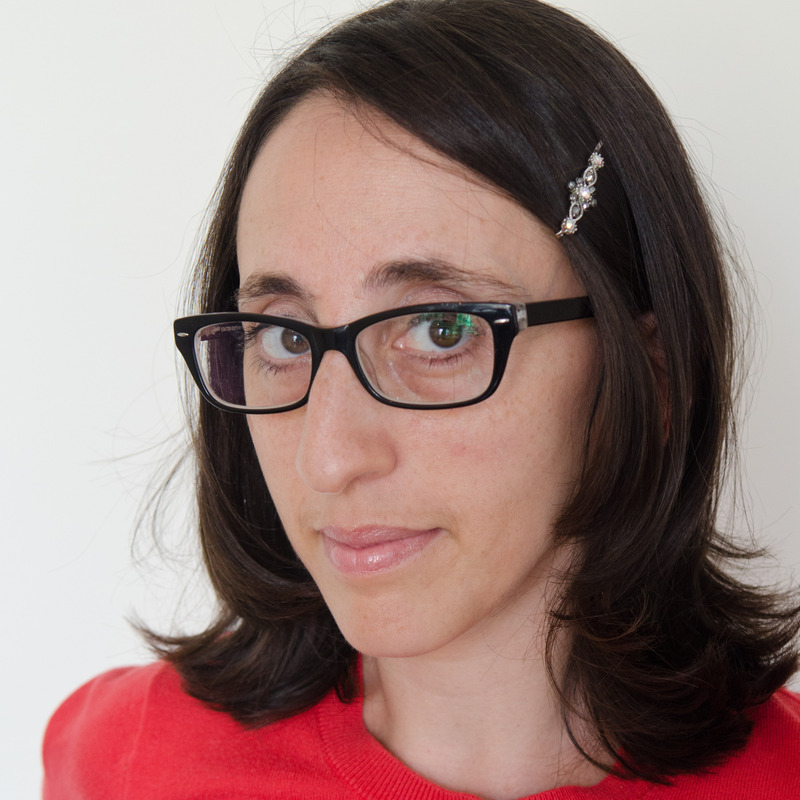 She now lives with her husband and daughters in New York where she writes about parenting, intimacy, mental health, art, religion and culture for the New York Times, Salon, The Forward, and many other publications. Connect with Judy on her website, Twitter, and Facebook. What a great interview! And the book sounds fascinating too! Great interview and the book sounds fun. I follow The Debutante Ball on both FB and Twitter! Love the interview.This book sounds perfect for me. What a fascinating interview. The memoir sounds unforgettable and emotional as well as heartrending. Thanks for this very interesting giveaway. Like Judy, I am the descendant of Holocaust survivors and have dealt with some crazy dynamics in my nuclear family while growing up. I am giving birth in a couple of months and I think that this is the book that I should be reading instead of usual pregnancy weekly updates!